Cheap return flights to Italy: Wroclaw/Krakow-Bologna for €43! Ryanair now offers superb prices on flights from Poland to Italy. 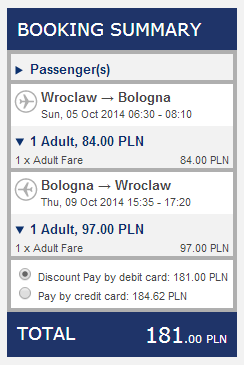 Return flights from Wroclaw to Bologna are available for only €43 / 181 PLN! This price includes 10 kg cabin luggage up to 55 x 40 x 20 cm and one other small bag which should be pretty much enough for short city break. Travel dates are in October 2014, still warm enough to enjoy beautiful Italy. Polskibus connects Wroclaw with other cities in Poland and also Prague. You can also fly from Krakow for the same price! Bologna is connected with stunning Florence with €7 buses, ideal for day trip. 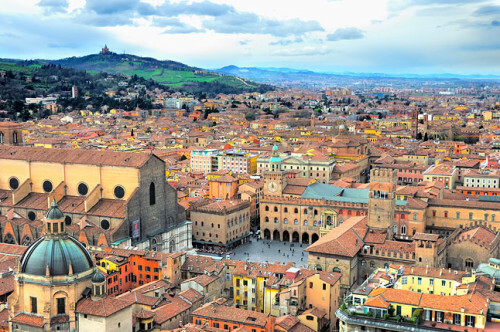 Bologna has hundreds of hotels and hostels to offer with prices starting around €20 per person per night. Compare all booking sites at once with our accommodation search engine to find the best hotel deals. « Cheap last minute flights to Greece: Kos for €61!